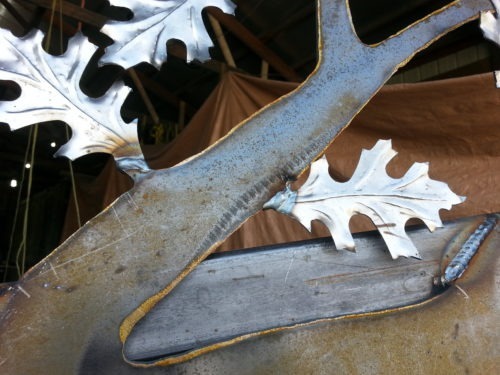 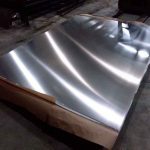 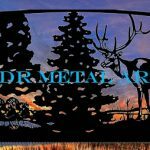 Lake Geneva Wisconsin Driveway Gates by JDR Metal Art - Custom Driveway Gates - Iron Steel & Aluminum - JDR Metal Art - FREE Standard Shipping! 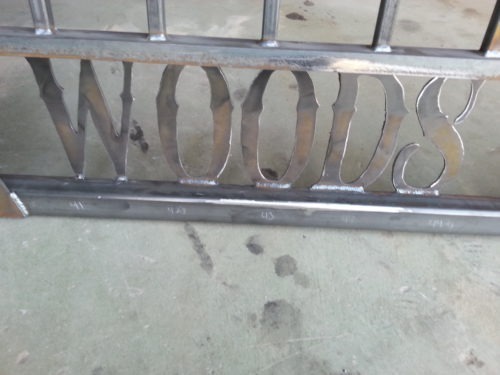 Featuring hand plasma cut lettering and metal art oak tree gate design hanging from 6×6″ steel posts. 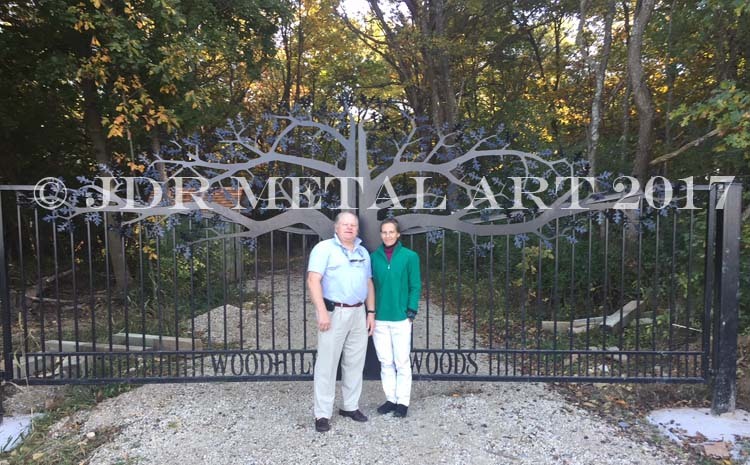 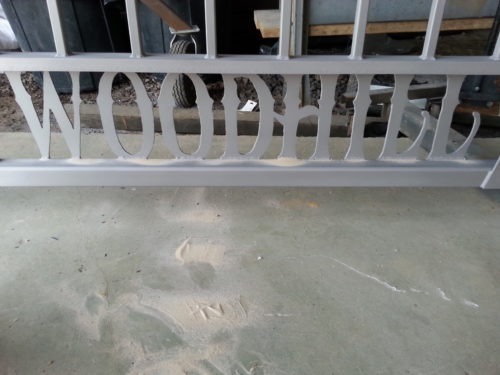 These custom gates were designed and built for the owner of Woodhill Farm Nursery which is located in Lake Geneva, Wisconsin.